I am sure that it would affect operating frequency but couldn't they have put in a proverbial "speedbump"(for lack of a more appropriate term) prior to the L4 that would disrupt this type of attack? Seems to me a reasonable alternative that could've been implemented after previous hacks of Intel architecture. Shoot even one that would disable the L4 altogether would be a useful feature notifying Administrator of an attack. A sort of if X happens in Y amount of log attempts apply Z outcome? I don't have all the answers, just a random option. 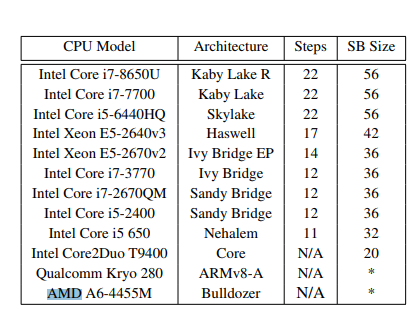 I wonder how much speed intel gained on cutting corners on hardware security over "somewhat" affected AMD cpus. Where does it say they didn't test ryzen? Seems to me Intel was going after performance without much focus in security.